Bamboos are known to be sturdy trees; however, they are a grass member. They are associated with people who have withstood the challenges that came their way. Bamboos signify tenacity and strength. It is popular in Asian countries, but can also be found in certain areas around the world. 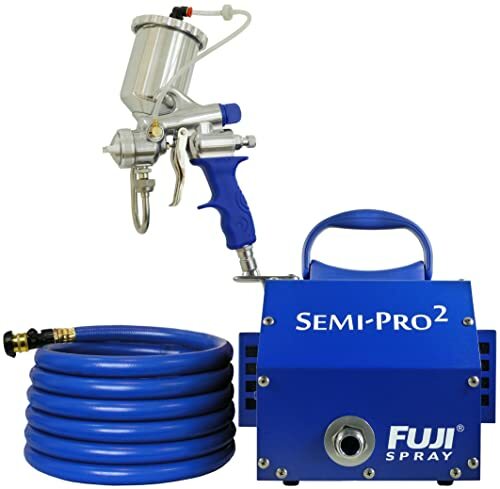 It is not only used solely for wood as in some countries it is also used for food. Bamboo shoots are popular in Asian cooking. Some popular animals such as pandas eat bamboo leaves and stems and are considered staples of certain species of animals. Bamboos grow through rhizomes which are why it grows fast and in great numbers. Some of its species can grow as fast as three feet even within 24 hours. Bamboos also have cross sections that can be found within the bamboo stem. 1 Is the Bamboo Ladder Strong Enough? Is the Bamboo Ladder Strong Enough? One of the major characteristics of a bamboo tree is its strength. It is used as ladders around the world as it can be compared to the strength of steel and brick or even stronger. Most scaffoldings are made of bamboo as they can be easily found, they grow in numbers, they are sturdy and they can be easily assembled. They are even used as furniture since aside from their strength, they are naturally designed. You can either have them painted or highlight whatever features it has. Bamboos can last to two years, but can last up to seven years if they are placed in a protected area such as indoors. You will know that the bamboo is sturdy enough according to its species. The culm length will also determine its strength. The wall thickness and the time it is harvested will also determine the strength. The lower part of the culm is the sturdy part. Treating bamboos can also elongate its lifespan. Chemical preservatives can be applied to make the bamboo last long; however, there are factors to consider its fast deterioration. Check on the mentioned factors to determine the strength of a bamboo timber or ladder per se. If you have considered using bamboo for timber, then consider the mentioned factors to elongate the bamboo’s lifespan. Your first step to building your own ladder is to get everything prepared. Have a pen and a piece of paper to list the length of the steps and the height of the ladder itself. With a measuring tape, measure the bamboo according to the length you will need. Make sure that the steps have the same size to avoid cutting them while you are already putting the pieces together. Another material you will need is wood glue. This will keep the pieces together and prepared for binding. And last, you will need a twine or a cord to tie the steps to the ladder after being glued. You can always paint the ladder according to your choice and paint them after the ladder is built. You can also treat them, but treating them must be done prior to building. When all your materials are prepared, waste no time and start building your bamboo ladder. Getting your bamboo can be made from local shops or you can go ahead and have them cut and cleaned. 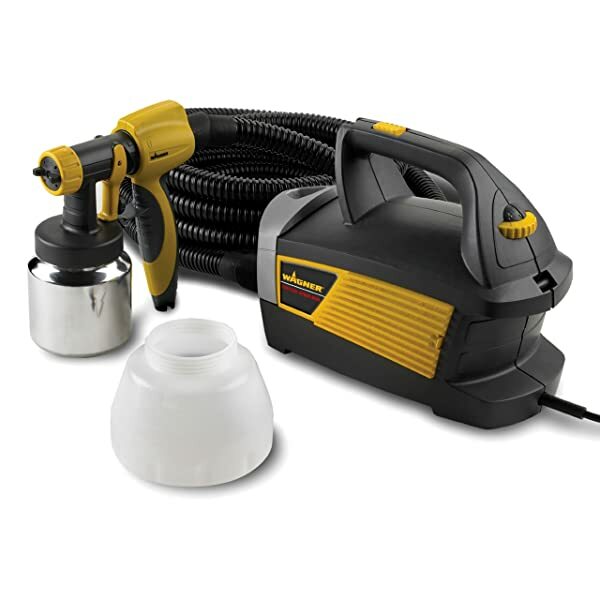 Purchasing them from shops will keep you away from the hassle of cutting them and cleaning them. 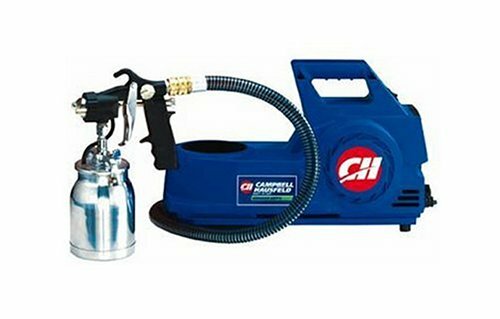 You can get them all cleaned up and prepared at shops at a cost. Get your bamboos organized according to size and height. Come up with the height of the ladder that you want. It is best to have the sizes written down to avoid forgetting them and having them measured time and again. Get the fattest stalk for the sides while the thinner stalks for the steps. Your next step is to have the bamboos cleaned. Smoothen out some rough edges. With the finest sandpaper, sand off excess dirt from bamboo stalks. 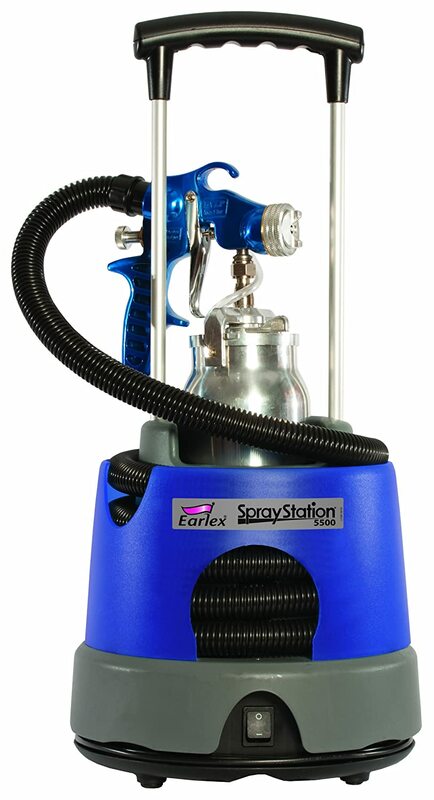 This will not only clean out the bamboo stalks, but it will also enhance its natural beauty. Lay down the bamboo stalks in a manner that you are going to put them together. Now that everything is laid, glue them together with wood glue. 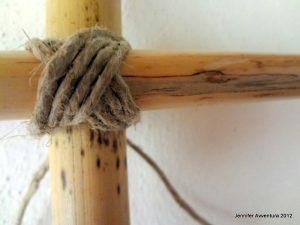 With the use of a twine or cord, secure the connecting parts by tying the twine or cord around it. Allow the glue to dry and you are good to go. 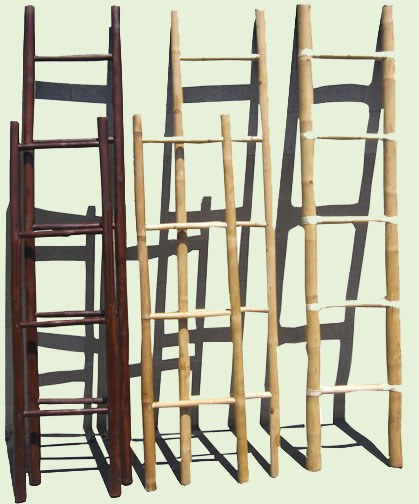 Bamboo ladders are not only used for the purpose of mounting high places. 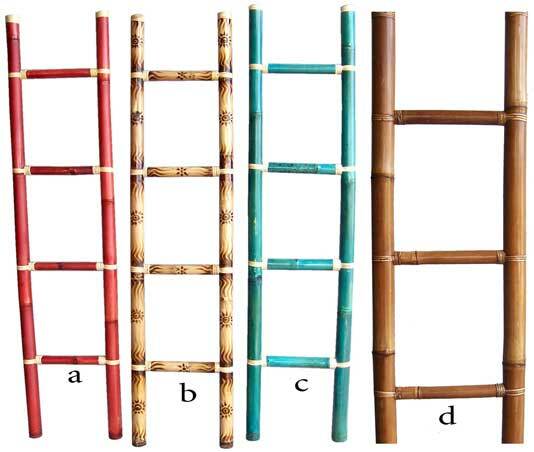 Smaller versions of bamboo ladders can be used as decorative and functional pieces at home. 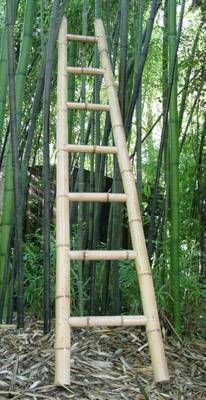 Thinner bamboo stalks can be made as ladders, however, they can be used as hangers for magazines, towels or rags. 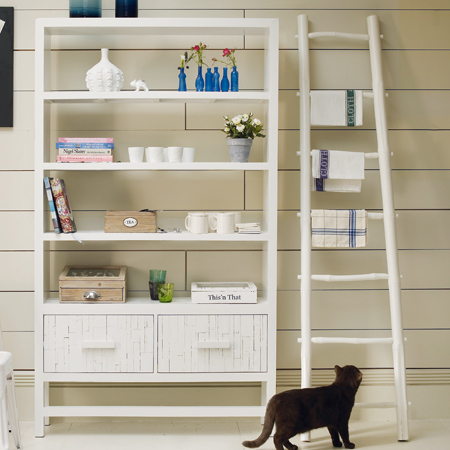 Place them in certain areas at home and they can add style and functionality even on small areas at home. Bamboo stalks can create furniture at home or at the office. 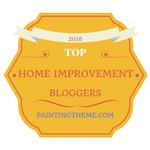 It is a cheap and stylish way to give your area the design it needs. For your lawns, you can create a water feature or what is known as ShishiOdoshi. It is indeed stylish and an added feature for relaxation that you can add in your garden. Trellises can also be made from bamboo. They are cheap, sturdy and can withstand outdoor conditions better. Bamboos as sturdy types of wood and using them for lumber are as wise as using hardwood. 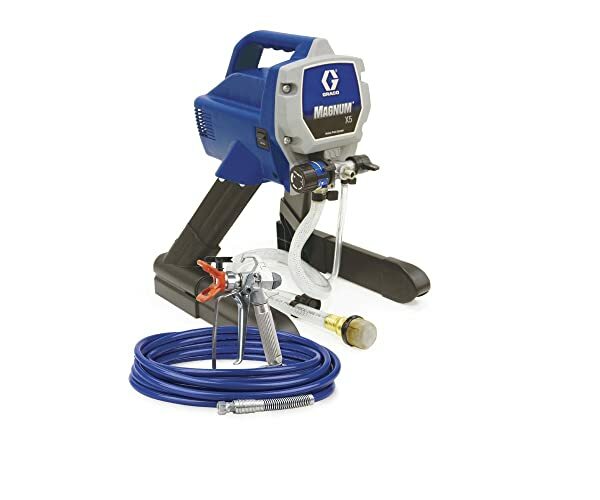 They can be easily found, easily built and easy to maintain. Consider bamboo when building ladders, furniture pieces and even homes. With the right planning, treatment and approach, you can enjoy bamboo stalks for quite a long time.